HMS Triumph was a Swiftsure class English warship. 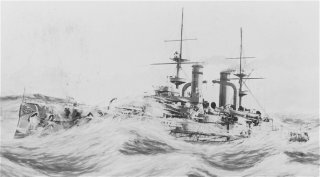 She has been completed in 15th of January 1903 by Vickers, Barrow. She has been comissioned in the channel fleet until she has been sent to mediterennan in March 1909. 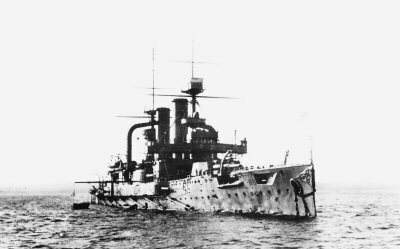 After the World War I broke out, she has been used in operations against Tsing Tao who were supported by Japaneese Ships. 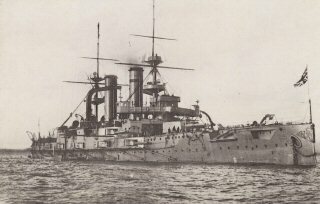 In January 1915, she came to Canakkale in order to take part in the bombing of the Canakkale castles. 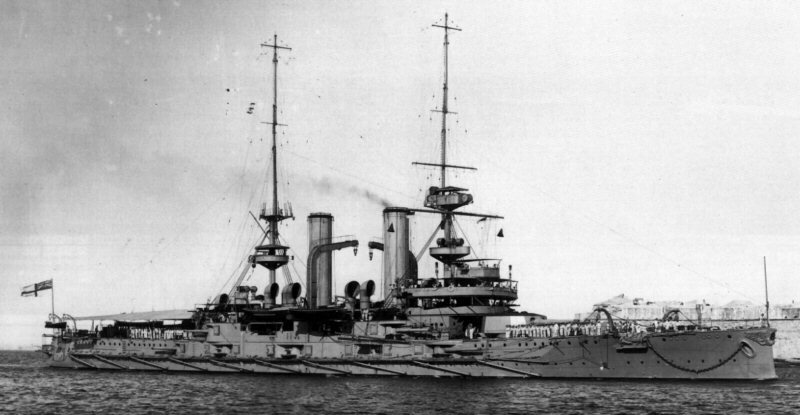 She has been torpedoed and sunked by the German submarine U-21 in 18th of May 1915 while she was bombing Gaba Tepe. She sunked in one and a half hour taking 73 of the crew with her. 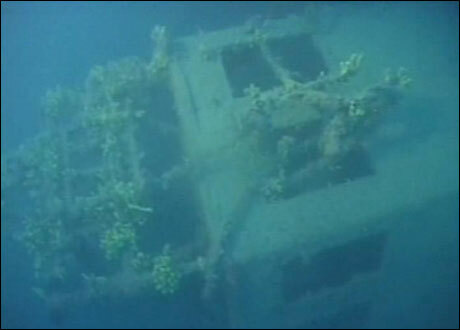 But the destroyers protecting Tirumph, had noticed the place of the U-21 submarine. There was no way out to the Aegean for U-21. Captain Hersing had to make a very hard decision. He decided to go right under the sinking Triumph and he managed to escape. This whole events have been happened right in front of the two armies fighting on the land. While the Anzac soldiers were watching this view sadly, there were laughter and applauss sounds coming from the Turkish soldiers. But Turks were showing that they were not vindictive people... They did not fire one single shot to the Triumph, while she was shot, after she was shot and while she was sinking and to the crew on the sea. With Triumph 3 officers and 70 privates were dead. 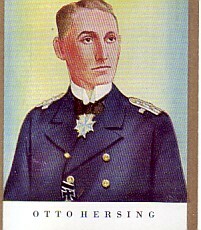 This event was meaning the end of the safety of the allied ships around Gelibolu. 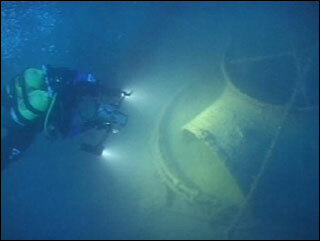 She was now lying in 56 to 72 meters depth. This spot isn't suggested by the local dive centers because the dive must be planned and done very professionally. The dive center can only take you here by judging of your dive experience and an authorization from the Coast Guard. The wreck which haven't been dived too often is always full of magnificent emotions with big groupers and other fishes. The wreck lyes on her side in 63 meters. All around the wreck there are fish nets, so you have to be careful. It is possible to enter the wreck from one point. The ship is still intact and in a good condition. 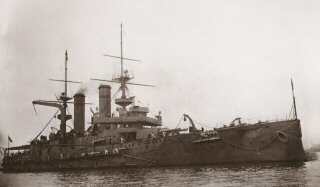 Captain’s Log May 25th, 1915 Today at around 9 AM I have destroyed and sank the battleship HMS Triumph. It was dark and fairly cloudy. We could barely see them in the dark clouds surrounding the area. We were oxygenating the vessel in order for the diesel engines to function. 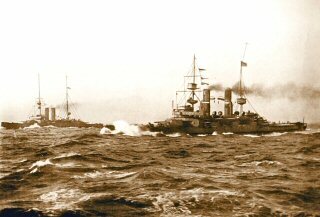 After about an hour of being surfaced, a man noticed a Battleship approaching at a faster rate than us. They were gaining speed on us so he went inside the submarine and closed the hatch. I was in the bridge at the time and told the helmsman to dive. As we dived, I told him to turn around and head away from the Battleship from the side. We soon fired a torpedo but it missed. From the torpedo, they tracked down our location and went over us. They launched depth charges, which seriously damaged the vessel. We had to do an emergency surface because our diesel engines were out. 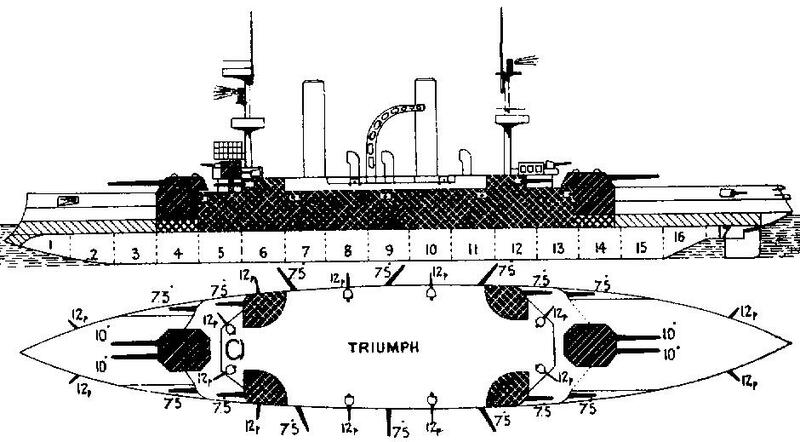 We soon started our electrical engines and headed towards the HMS Triumph. They shelled us but luckily most of their bullets missed. We fired a torpedo and it was a direct hit. It was a glorious moment for my crew and I. The spirit at the moment was excellent and we felt like we could destroy a hundred of their battleships. The diesel engine was severely damaged but luckily our ingenious mechanics quickly repaired it within a day. We were lucky because we didn’t encounter any vessels while we were on the surface.